September is a busy time in Melbourne as it’s Festival time again. 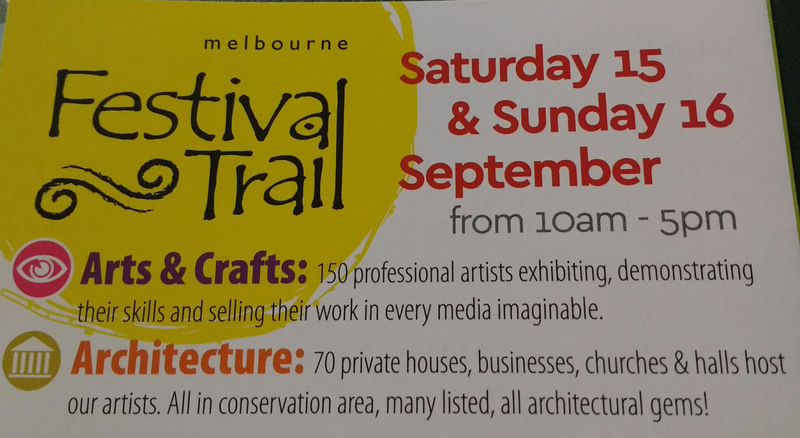 On Saturday 15th and Sunday 16th September the Art and Architecture Trail will be taking place around Melbourne village. Why not pop in to my workshop to say hello, visit Melbourne Hall’s Craft Centre and enjoy the attractions of the Festival.